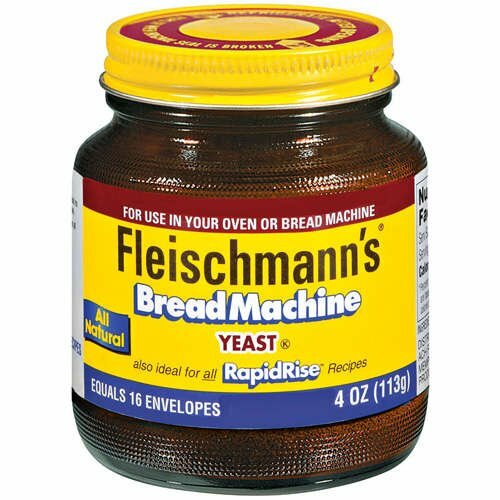 Save time with Fleischmann's Bread Machine Yeast. Known as instant yeast, Fleischmann's Bread Machine Yeast requires only one rise. Simply add to dry ingredients, then follow your recipe. There is no need to hydrate in water. Simply knead, shape, and bake! This yeast works great in all types of bread machines. This instant yeast, works in conventional recipes too! Fleishmann's is gluten free and sure to satisfy. Baking with Fleischmann's is an enjoyable experience every time that delivers reliable results, based on 150 years of experience. If you have any questions about this product by ACH FOOD COMPANIES INC, contact us by completing and submitting the form below. If you are looking for a specif part number, please include it with your message.